Each month, subscribers will receive a beautiful Glam Bag with deluxe samples and full-sized beauty products based on the quiz you answer. 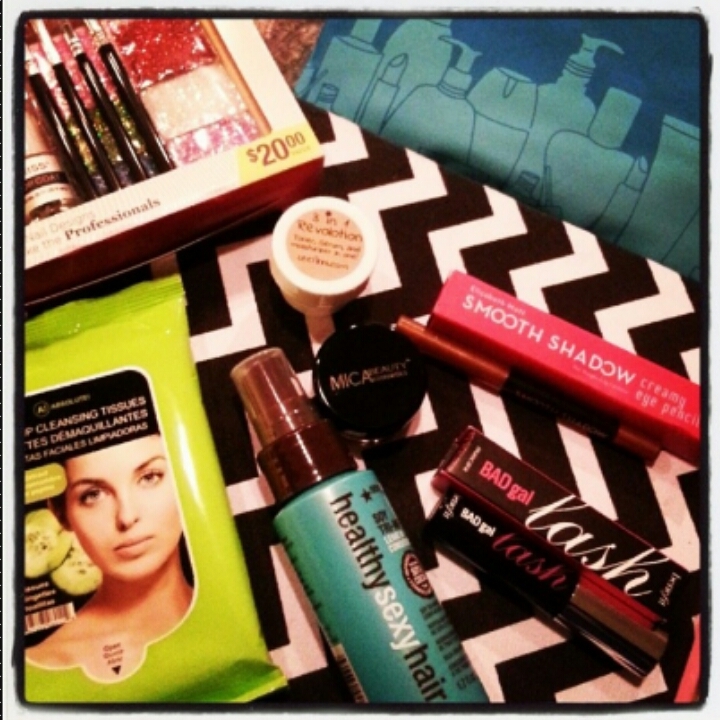 I’ve been an Ipsy subscriber since August 2013 and I am so impressed with this service. 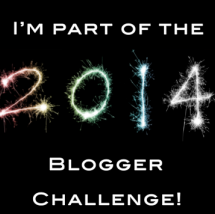 I love being able to try new products…some I love and some I don’t. The best part is that it is only $10 a month. If I happen to not love something, I don’t feel bad about it! Hehe! 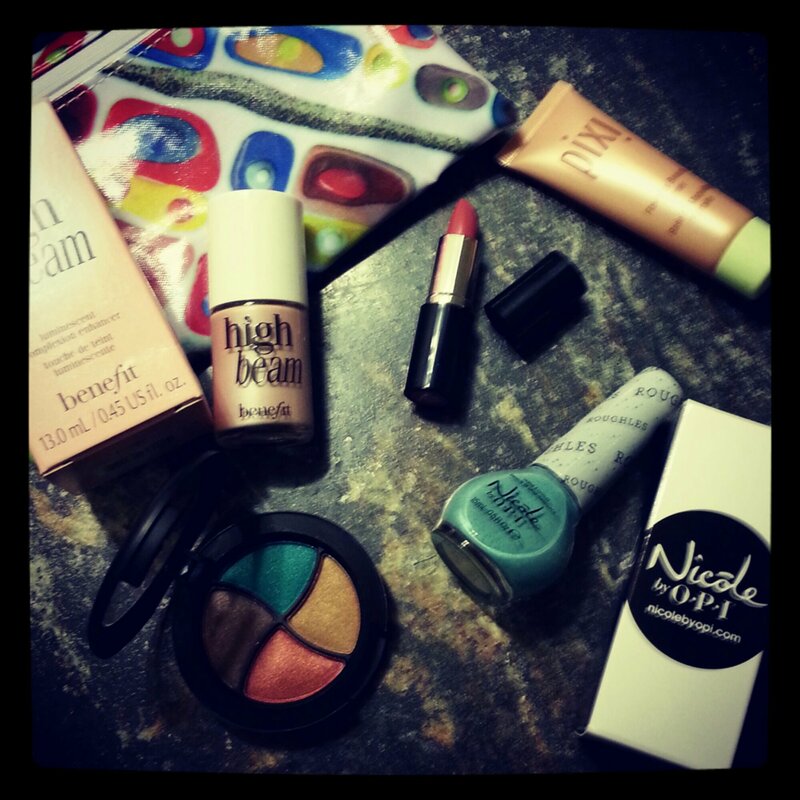 This is what I got this month: Bare Minerals Marvelous Moxie Lipstick in Get Ready, Nicole by OPI in the color Roughles, Be a Bombshell Bora Bora eyeshadow quad, Pixi Beauty Flawless Beauty Primer and Benefit High Beam highlighter. 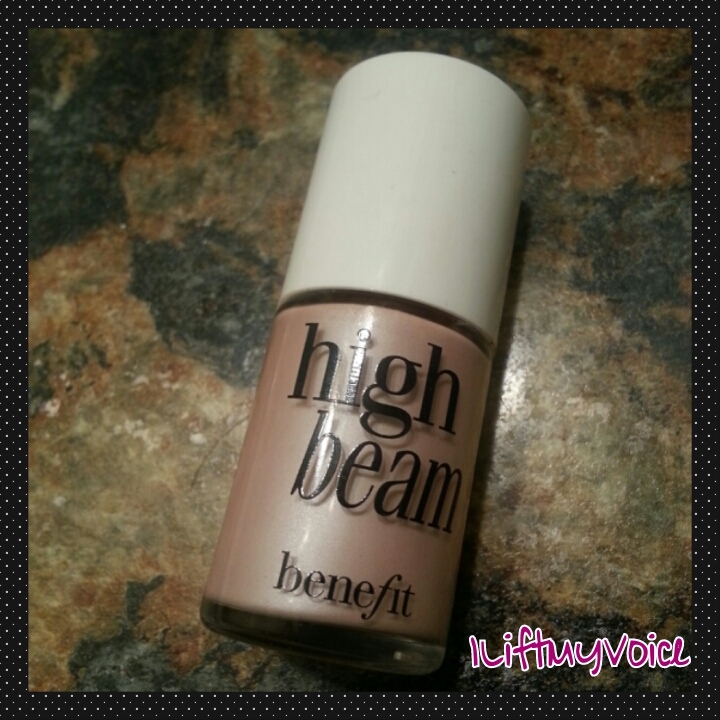 Benefit High Beam – $26 – I have been looking for a highlighter for a while; however, it was not something that I wanted to spend a lot of money on….I’m cheap like that. Lol. I was able to redeem my Ipsy points for this full size product. I’m sorry I don’t have any pictures it on my face but trust me…it’s great! I provides a subtle pink shimmer. It’s gorgeous! I will most definitely purchase again when I run out. 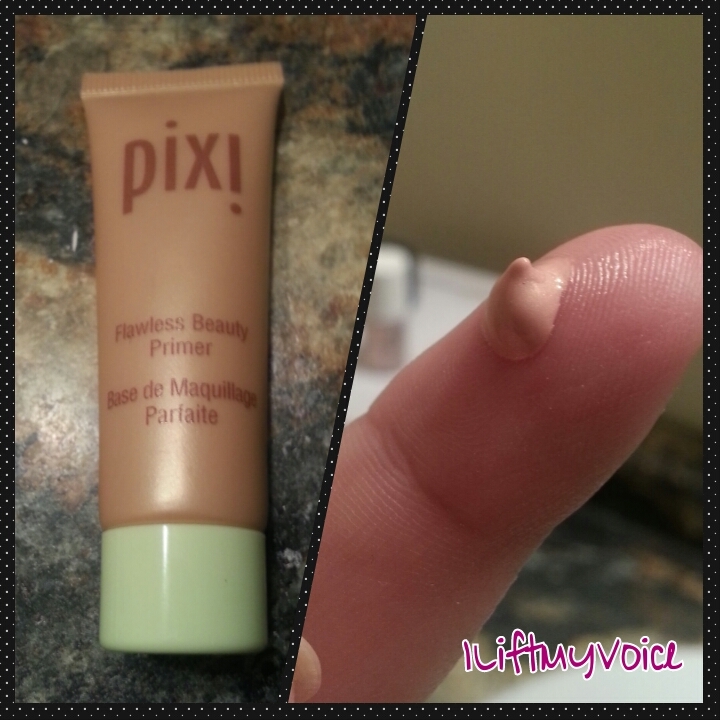 Pixi Beauty Flawless Beauty Primer– $9 – I’ve never big big on face primers. I mean if I have them I will wear them but I’m not going to spend money on them…because I’m cheap remember. 😉 I really did like this though. I just wish it had a more mattifying effect. 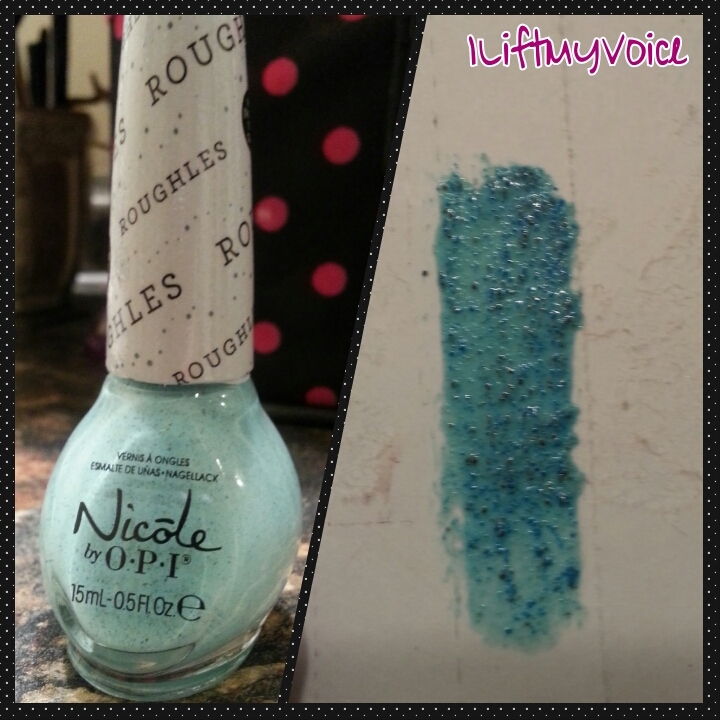 Nicole by OPI in the color Roughles- $9 (I’m guessing)- I loved the color of this polish but it’s textured. I have a thing about textures….I don’t really like it on my nails. It is a pretty color though! Bare Minerals Marvelous Moxie Lipstick in Get Ready- $18 for a full size- This was my favorite product from this months glam bag! 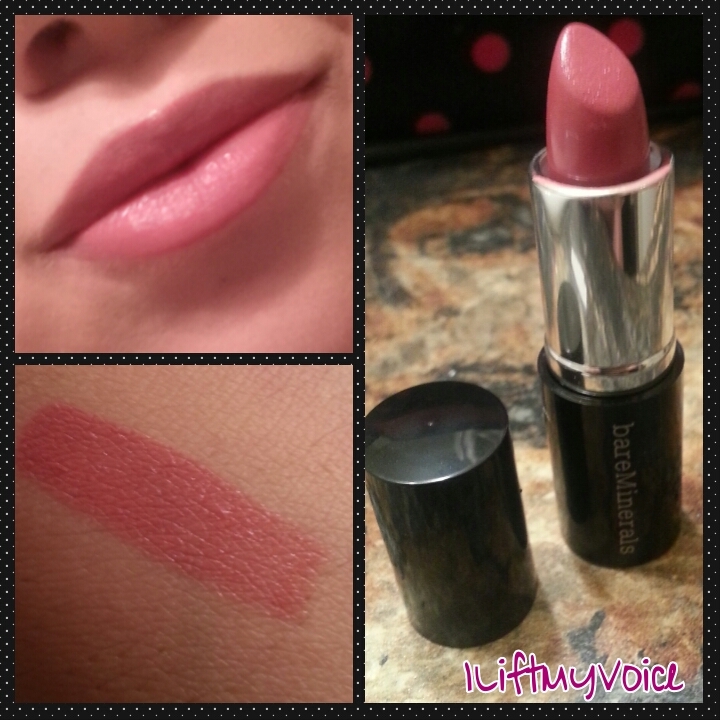 I have been on some sort of a lipstick kick lately and this one is just amazing. 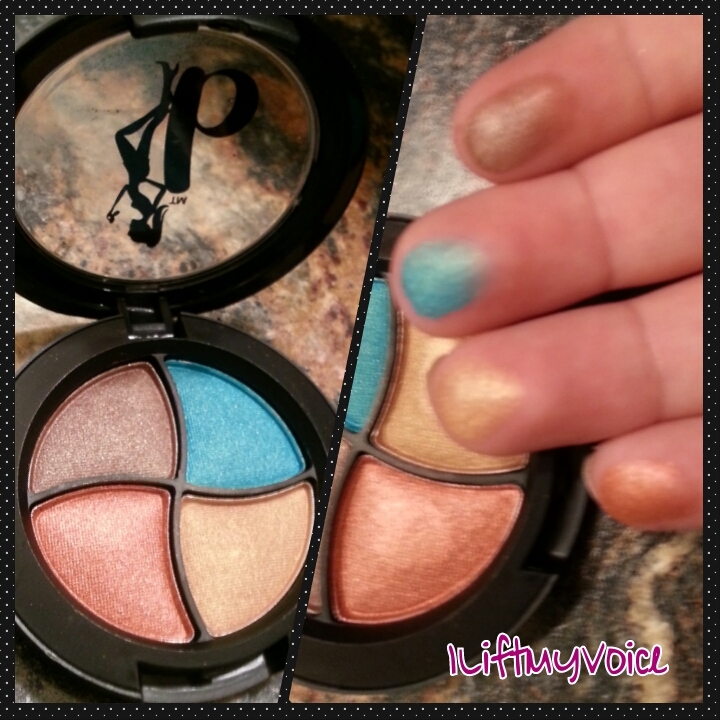 They color payoff is great and it is so smooth and silky. I’m cheap…that I am; however, I might just dish out the $18 for this lipstick! 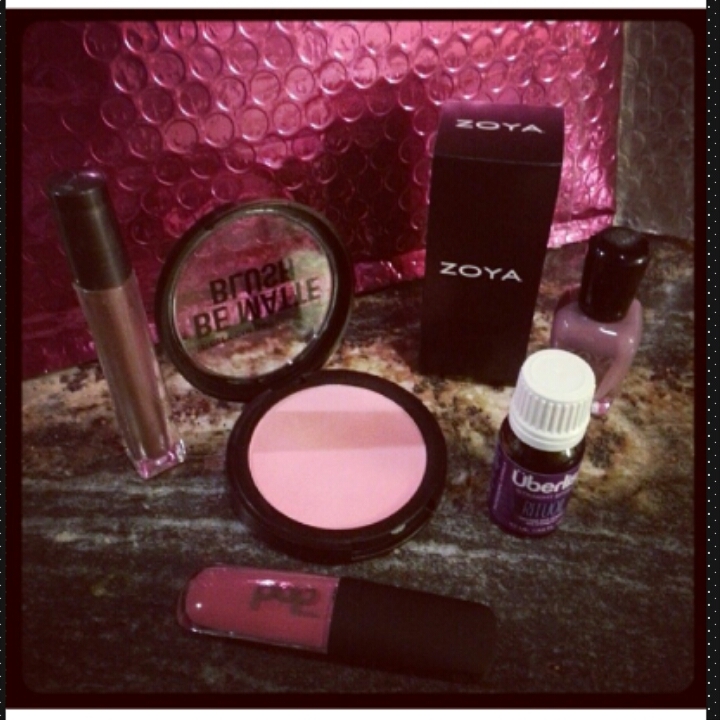 This entry was posted in Beauty on March 13, 2014 by Monica.